“If I’m an advocate for anything, it’s to move. As far as you can, as much as you can. Across the ocean, or simply across the river. The extent to which you can walk in someone else’s shoes or at least eat their food, it’s a plus for everybody. 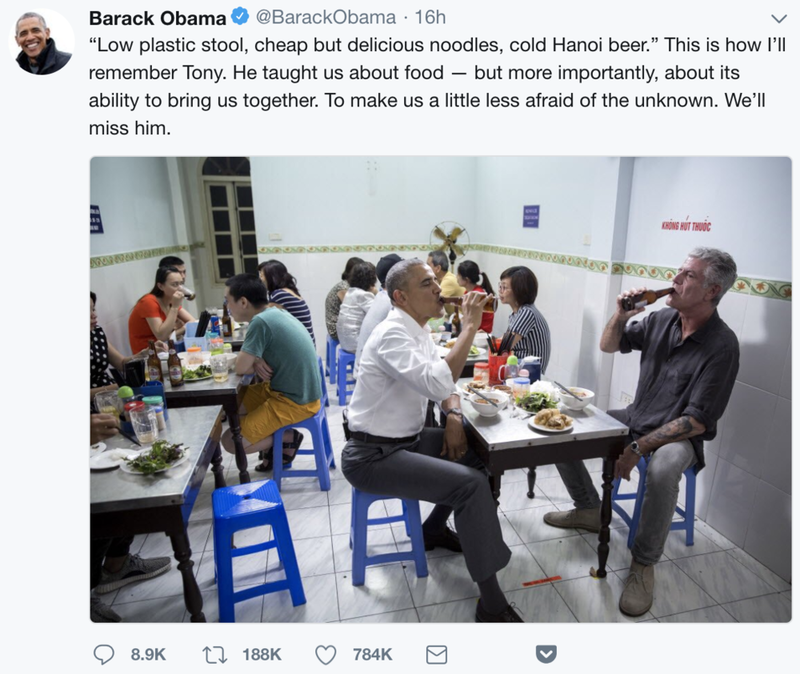 it was with great sadness that i learned about anthony bourdain's passing last night, while at dinner in hong kong. tony's show, parts unknown, had just aired their episode of hong kong last week. i was over the moon about my city being the latest stamp in anthony bourdain's passport. he had a flare for humanizing the foreign to all that would watch from the comfort of their homes, often after sunday night dinners with the family. his respect for asian food, particularly street food, was always incredibly empowering to me and my people. when i was homesick while studying in charlottesville, his show offered me great comfort. before i knew it, i had seen every episode, twice, and found myself living by his philosophies. he taught me that food is the perfect pretense to sit down with others and learn. he taught me that food is the ultimate common denominator between all of us. he is my hero and a major inspiration behind this organization. words cannot express the impact he has had on the lives of so many around the world but through our actions, we can cherish his legacy and embrace his ideals as our own.